I can provide you with a screenshot and confirm your words. Will this suit you? Here, your odds are only time and positive profitability and they grow in the presence of these 2 factors. They are not effective as indicators in trading. I have millions of dollars in management, but here I am a beggar because everyone is looking at your indicators, a template written by someone who is an algorithm that is simple. 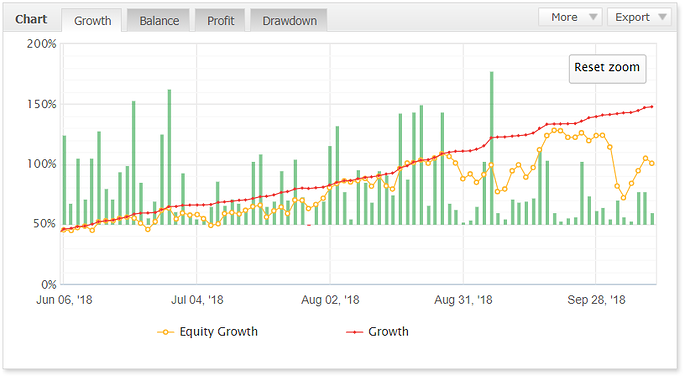 I’m sure that if I continue without changing the style I’ll have Darwinex Score 80-85 in a year of trading if the profit curve is up with optimal risks. Your service is good. I will move on. This is a place where colleagues invest other colleagues, we are not dumb cows. Everyone promotes his work but without being irritating. So keep on with good trading but stop spamming the forum. Do you post the report only after profitable weeks? Not. I publish all the results every week. Yes, missed last week. Sorry. This is an extremely important part of being among a group of mostly savvy people like here on the Community forum. I was kidding. Sorry for that. In fact, here at Darwinex, people dont like martingales. More than a martingale it is a strategy that let the loosers run forever. These are systems that "stack risk" as we can see from the two diverging lines. It seems that one year of native results are mandatory to invest a darwin. For 2018, he set the goal of obtaining the status of an Appointed Representative (AR) in the UK. Increase the amount of management to 5 000 000 USD from the current 2 400 000 USD (at the beginning of 2018). Unfortunately, only the latter managed to make the sum in management now (at the end of 2018) a little over 5 000 000 USD. The status of the Appointed Representative (AR) in the UK was not received due to the uncertainty of the situation on Brexit. I understand that it is better to wait until better times or consider other options. In this area, the question is still open and not decided what is to be done. Projects PFSignal and Myfxmap will continue to evolve. Trade in 2019 will be carried out through brokers Swissquote Bank, MT Cook, Interactive Brokers. Other brokers for trading are not considered yet. In 2019, it is necessary to resolve the issue with the status of Appointed Representative (AR) in the UK or find a good alternative. Increase the amount of management from the current 5 000 000 USD to 12 000 000 USD. 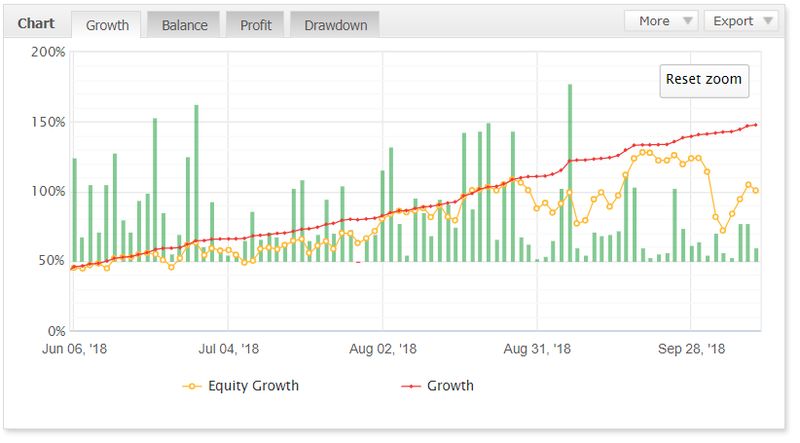 Continue to improve your trading system, making it more stable, reliable, yield curve smooth. Thank you for your support and faith in my system. Moving further to the planned plans and goals. Have a nice New Year and Christmas! See you in the New 2019. We don't care about collective2 . Here we are on Darwinex. 2018 has already ended 5 days ago . Why don't you answer to questions intead of posting the same standard stuff created for every site?